The government speaks regularly about moving services out of hospitals and into community-based care, including nursing homes and home care. They tell us that it is not only more cost-effective, but it is preferred by patients. So what is the deal with holding the line on CCACs and nursing home beds at a time when the hospitals are being placed under extreme pressure to move alternate level of care patients into the community? The latest conflict is in Windsor, where the LHIN has refused to give the Community Care Access Centre a waiver to run a $5.2 million deficit. The CCAC is arguing demand is on the rise and patients will be stranded in hospital if they are unable to provide home care services. Just yesterday Windsor Regional Hospital CEO David Musyj was urging patients to go elsewhere in the anticipated post-Christmas rise in demand for ER services. No home care. No hospital care. 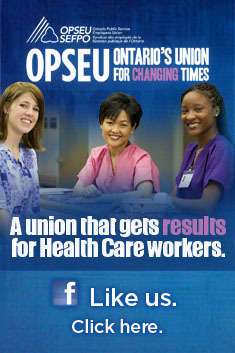 People in the Windsor area must be truly wondering about the direction of their health care. The CCAC says the overall increase in home care patients is rising by 1,000 to 1,500 per year in Erie St. Clair, and coming out of hospital sooner, these patients are more costly to serve. The cost of the CCACs end-of-life program is rising by 11 per cent per year. The CCAC is also facing more demand because of delay in the building of a planned 256 bed long-term care home at St. Clair College. They say that delay is costing them $3 million annually. We are hearing that the Home First program – an initiative where hospitals are supposed to discharge patients home to wait for long-term care placement – is increasing overall community referrals to the CCACs by 10 per cent or more. This is a significant strain on their budgets. Even the Auditor General of Ontario was skeptical in his summer report of the government’s plans to reduce the rate of growth in hospital spending based on service from home care and long-term care where the level of restraint is expected to be even more severe. When the Health Restructuring Commission of the late 1990s made its recommendations around the transfer of mental health services to community-based agencies, they were adamant that no beds should close until community-based resources were established. The government cut the beds, didn’t provide anywhere near adequate service in the community, and left us with a system that has been the subject of one report after another calling for better. Are we to repeat the experience as the government pushes hospitals to discharge patients before adequate community resources are put in place? This entry was posted in Health System, Home Care, Local Health Integration Networks, Long Term Care and tagged Betty Kuchta, Erie St. Clair CCAC, Erie-St. Clair LHIN. Bookmark the permalink. Government’s know perfectly well what impacts the patient and the family when discharged from hospital with little to no medical follow up care in the community. In some cases, follow up care never arrives because a referral for CCAC is not confirmed; so the patient, care giver or family are left without or they hire medical support privately. This is not providing access to medically necessary care and is against the Canada Health Act. The very fact that our government and / or its’ representatives do not enforce the law means only one thing; they support private health care in Ontario.